Way up in Wasilla, where the men are men and the moose are meat, members of the high school symphonic jazz choir were excitedly rehearsing for the upcoming graduation ceremony, where they'd be performing an epic rendition of Queen's "Bohemian Rhapsody." Then they were told by Principal Dwight Probasco (that's his staff directory page) that the song had been pulled from the program. "Why?" they wondered, having put months of effort into the big number. 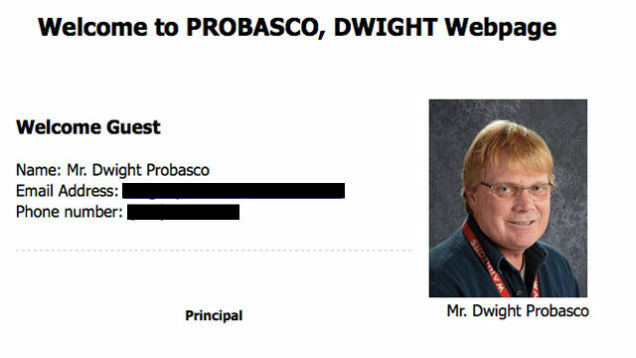 Probasco explained it was because he'd received a complaint from a parent. You see Freddie Mercury, the vocalist who had sung the original version of the song, was gay. Choir member Casey Hight, a junior, was angry enough to contact a gay and lesbian support organization in Anchorage for help. They told her to contact an attorney at the American Civil Liberties Union. "I felt like the school was discriminating for sexual orientation and I felt it was wrong," Hight said Monday. "It's so stupid because there's nothing sexual in the song. There aren't even any cuss words.